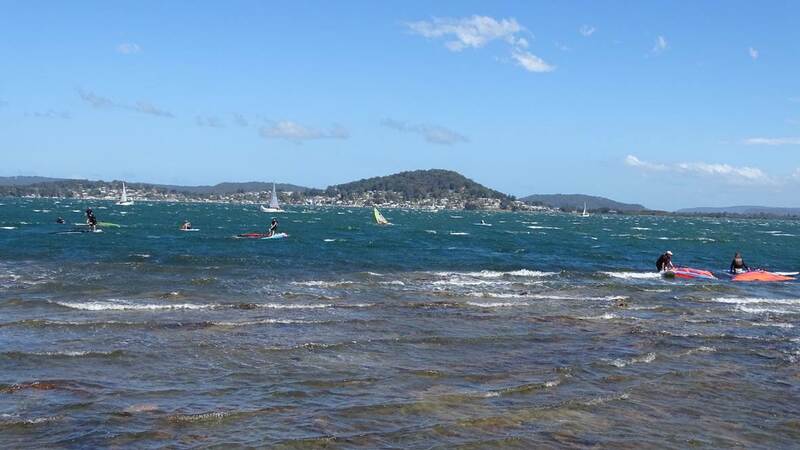 A good weekends racing at Gosford Sailing Club, a lot of fun with a southerly front on Saturday just at the end of race one wiping out the rest of the day leaving us with a bit of energy for leaping on the dance floor to the 80's cover band upstairs at the club. Sunday was a 8-12kn southerly with a few tricky shifts. Cam showed us all the way continuing with his form from last season getting the gun in each race. Thanks to all of the Gosford team for putting the event on. 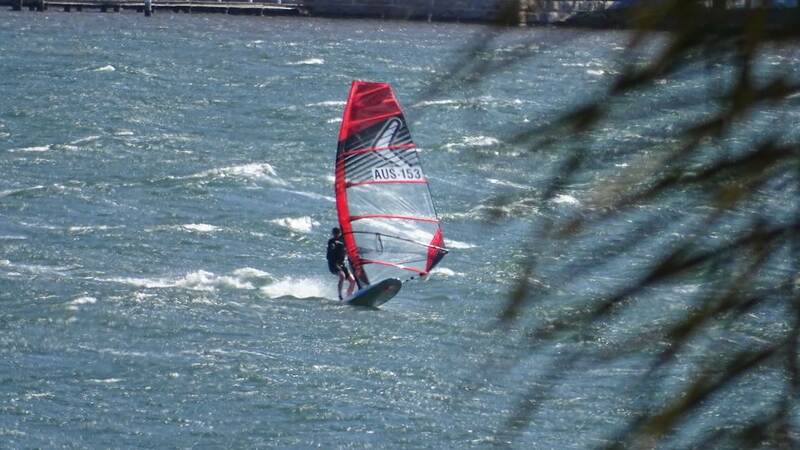 We shared the water with the WIndsurfer Lt having its debut regatta and the J24's. Everyone played nicely together and looking forward to doing it again in the future. Great weekend, thanks to John, Al, Pete, Peter W, and all organising committee and competitors. I raced in a couple of comps back in the early 90s, and have come back to raceboard thanks to john starting a group at Gosford. I'm certainly still at the back of the field but everyone is very friendly and accepting, and I guess as John says the comp is looking for extra competitors. So I tried very hard not to crash into anyone or slow you down too much, but I think I failed on both counts. Anyway, thanks for the experience and I may well try some more comps. I managed to get some photos from a friend on the shore. First lot are the first day squall, followed by the second day. Thanks for the weekend. Nice place to rig & launch. Cheers Lyndon and thanks for your support in encouraging others to join us racing at Gosford every Saturday. 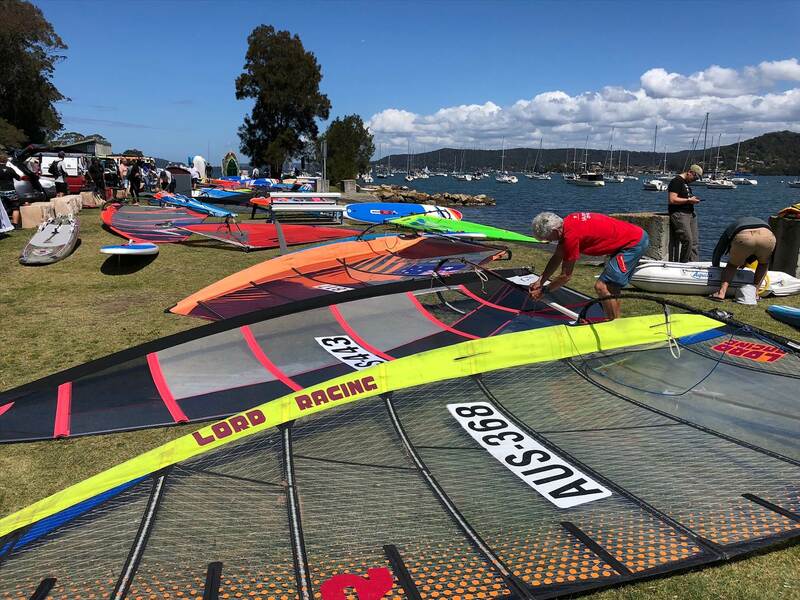 It was fantastic to welcome the Raceboard and Windsurfer fleets to Gosford and to see 35 Sailboards back racing on our local waterway. I hope this wil encourage even more people to join us racing regularly. We've already had 3 enquiries from people interested in learning or getting back into the sport. The feedback I have received from the competitors has been overwhelmingly positive and the initial feedback from the club is that they'd be happy to have us back again next year! Please pass on my thanks to Paul for the great photos! 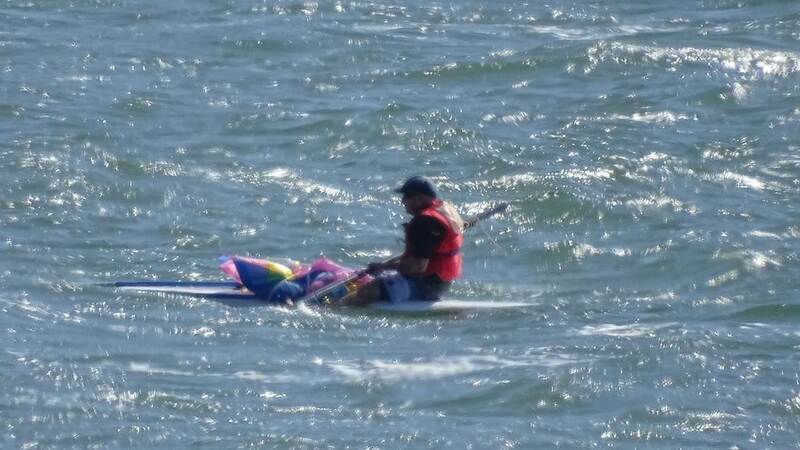 That one of me returning to the club on Saturday afternoon is one of the best action shots taken of me in over 30 years of windsurfing! Cheers mate, I'm so pleased to hear you enjoyed the weekend at Gosford. I promise next year we'll be even more organised! 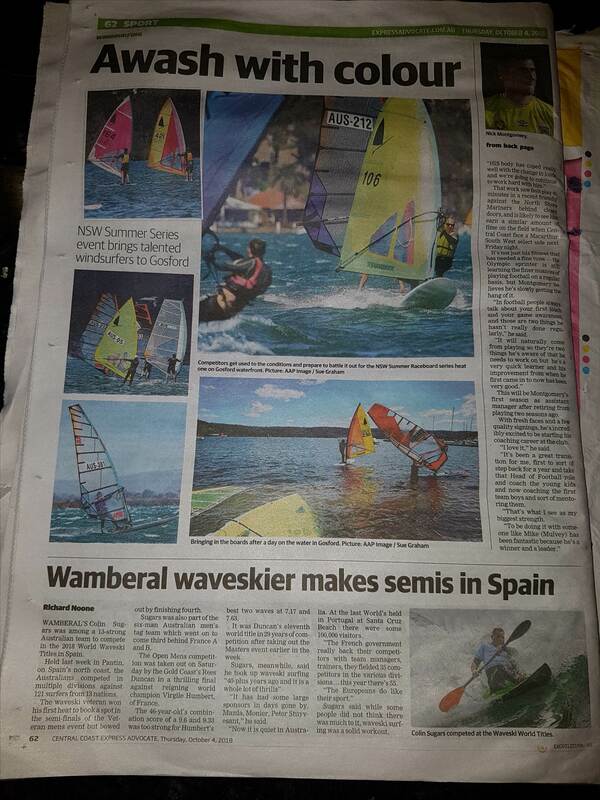 The Central Coast Express Advocate ran some more photos from last weekend in yesterday's local paper. Thanks to everyone who attended for contributing to promoting our awesome sport on the Central Coast. 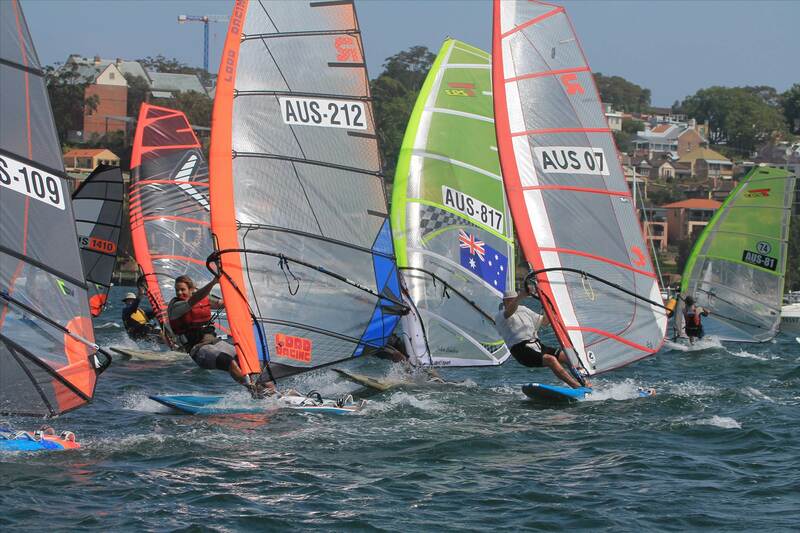 Just a reminder that Heat 2 of the NSW Summer Raceboard Series is on this Saturday (13-Oct) at DAC. It's a combined regatta with both the BIC Rippers & the Windsurfer Class so bound to be a well attended event & the forecast is looking great! Start times vary with the Little Rippers starting early Saturday morning and the Raceboards and Windsurfer classes at 2:30pm (to be confirmed). 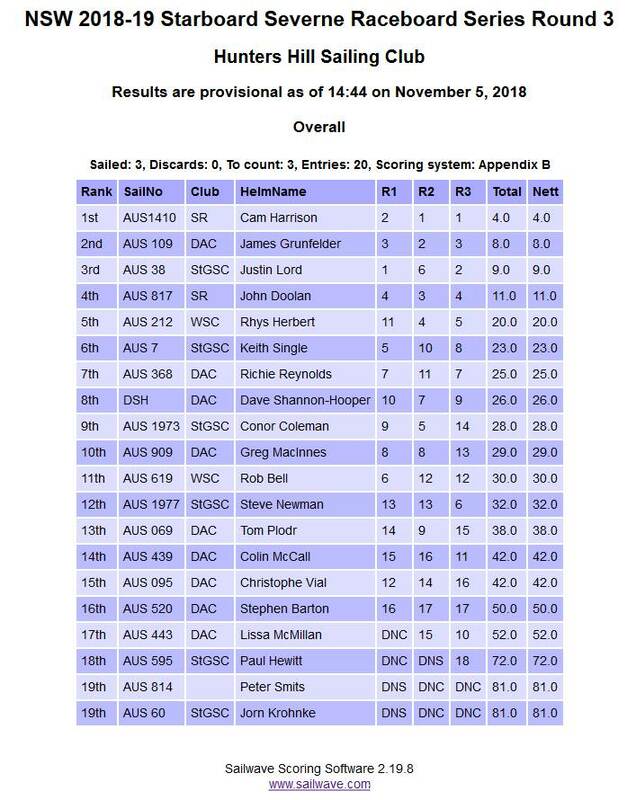 I'd suggest contacting your class reps for exact times and would recommend the Raceboard and Windsurfer Class competitors aim too arrive by midday. DAC have sandwiches, Meat Pies etc and drinks available at the club, so get there in time for lunch and to rig. Round 2 at DAC perhaps showed DAC living up to its reputation rather than putting on its best. The E - NE breeze varied from 0-20kn, heavy rain giving us a short white out, and certainly not adding to the enjoyment of the day. 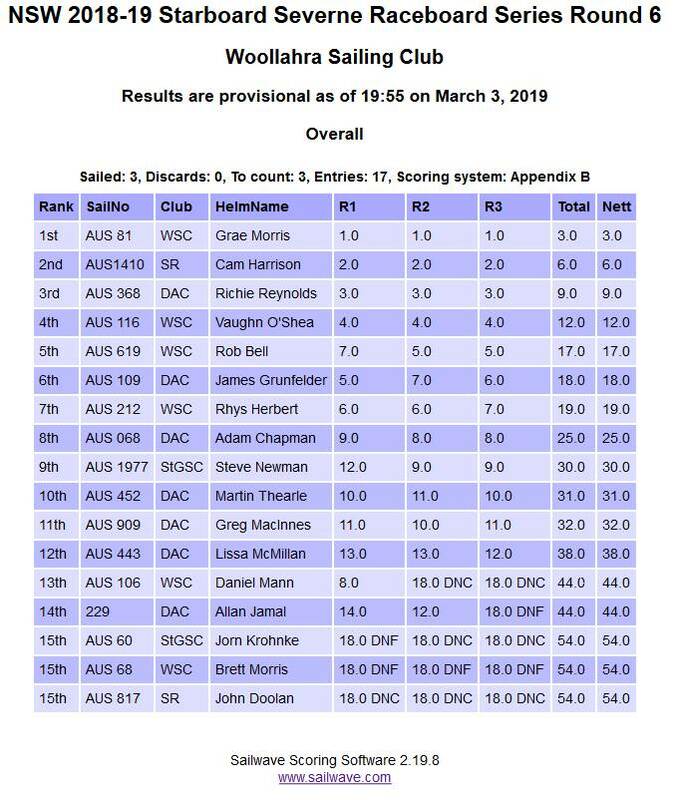 The racing was close with 21 Raceboards competing and 13 Windsurfer one designs and a healthy fleet of Bic Technos. With up to 9 boards crossing the line in a minute the Race Crew were kept busy turning around the 3 races and recording the finishers. Another great regatta despite the testing weather conditions. 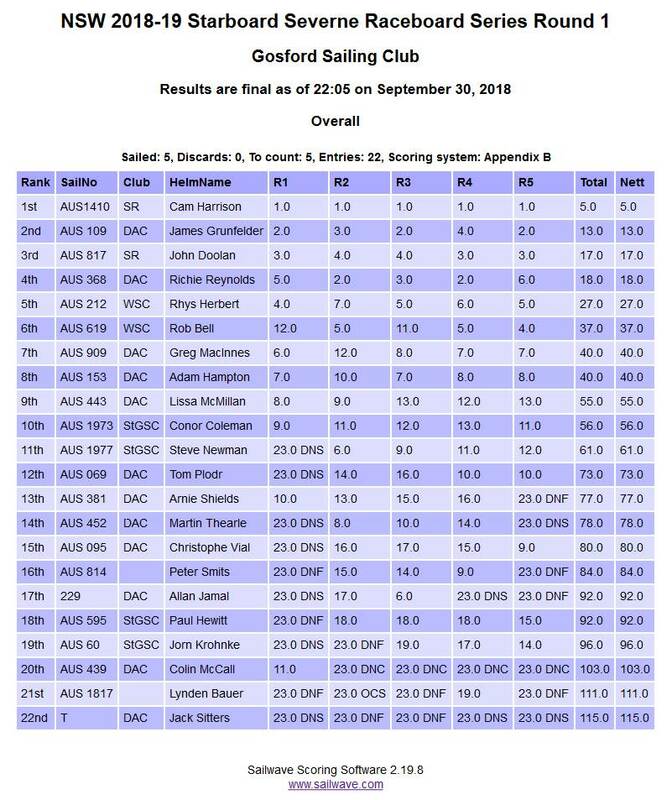 Congratulations to James, Cam and Richie, well sailed guys. A big thank you to everyone organizing the day for a well run event. 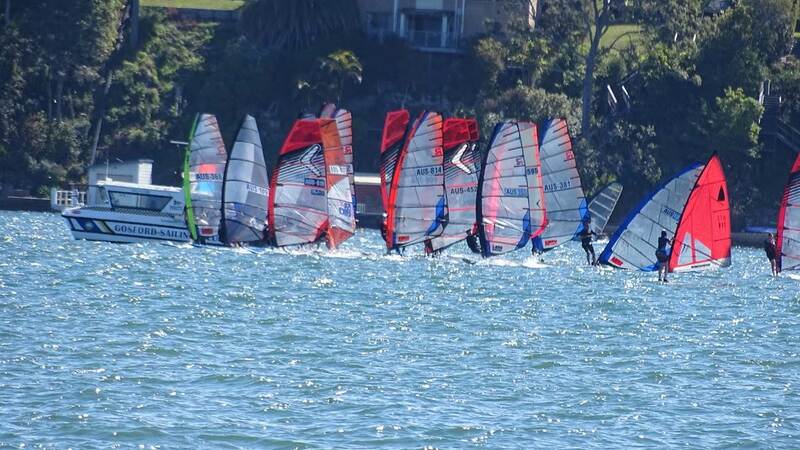 It's always a great atmosphere at DAC and great to see so many young kids getting into windsurfing, the future of windsurfing is looking much brighter. See you all at Hunters Hill on 4-Nov for Heat 3. 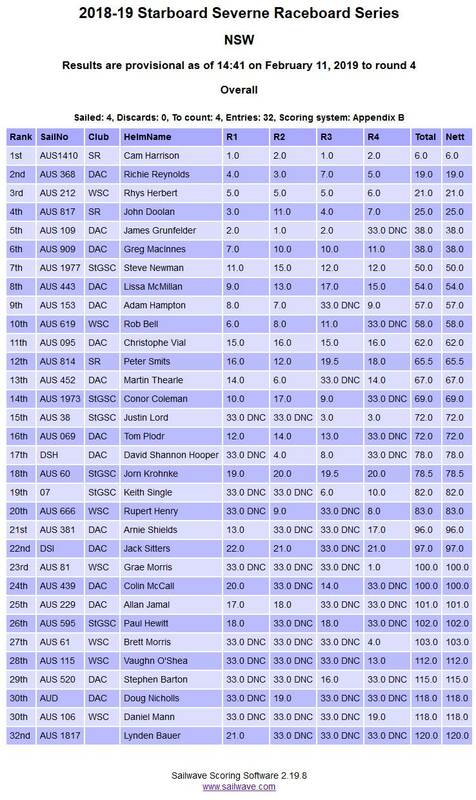 This is how the series results are leading into Hunters Hill this week end. Lets see who are the big movers this Sunday. Briefing is at 1.15, with a 2.30 start. Please note the starting sequence will be different at HHSC, with 3 minute starts rather than our usual 5 minute sequence. 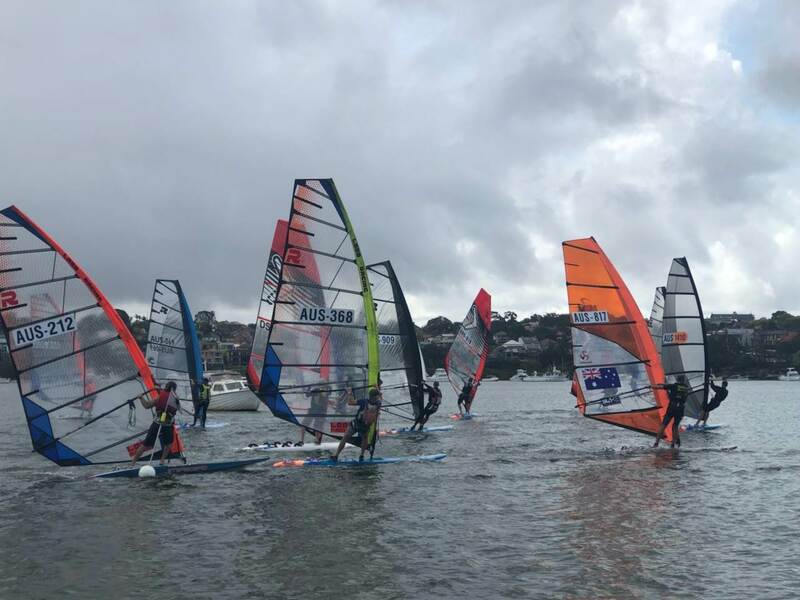 The weather definitely turned up for yesterday's 3rd heart of the NSW Summer Raceboard series, and so did the breeze (albeit in some rather sudden gusts). From the shore the breeze looked deceptively light, causing most of the fleet to venture out with 9.5m rigs, with a handful of us on 8.5m rigs (thanks Cam for the recommendation). I'm sure the guys on the 9.5m rigs were cranking the downhauls, as some of the gusts were quite solid and lasted for minutes rather than seconds. The usual strong breeze contenders, Justin Lord (8.5m - new prototype Lord racing rig), Cam Harrison ( Demon 8.5m) and a James Grunfelder (Demon 9.5m - well done James) lead the fleet in race one and Justin, James and Cam fought out the remaining two races in some very close finishes in what were definitely sprint races. 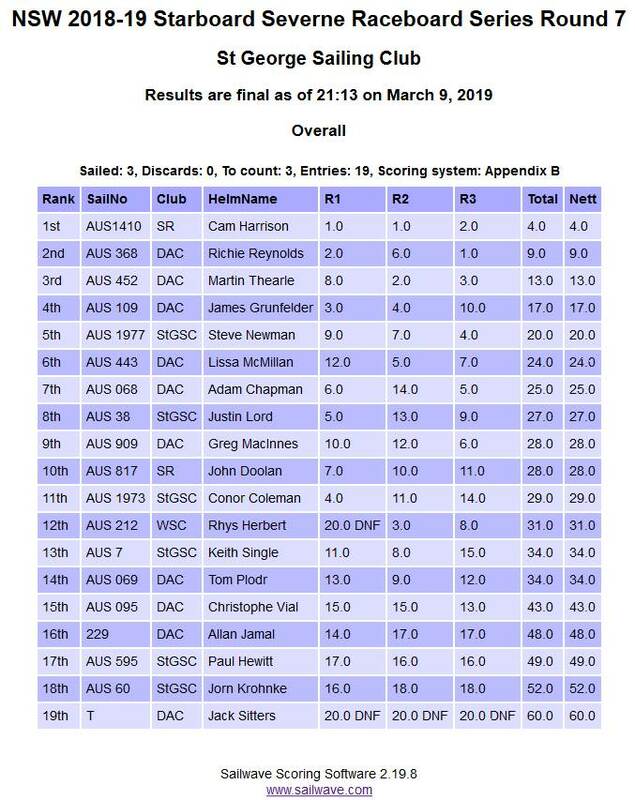 Good to see Rob Bell, Colin McCall and Rhys Herbert contending at times. The harbour was definitely busy with a multitude of other craft ranging from yachts, dinghy's, small medium and large motor boats and the Sydney ferries which added a couple of extra components to the mix (chop from all angles as well as constant moving obstacles). Looking forward to seeing the official results when they get posted. And here are the results! Thanks John for the summary. 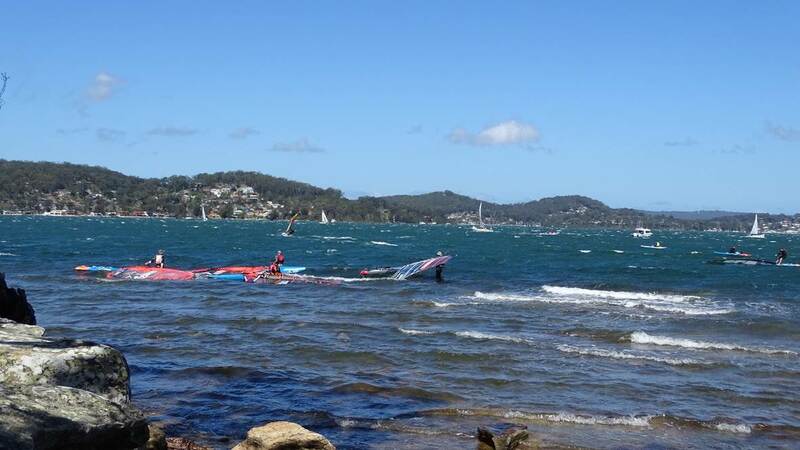 Well it was a challenging day at Hunters Hill Sailing Club! In choosing a rig, the winning option was to go for maximum control not max speed. Quick manoeuvres to stay in the gusts were what were required, then the gusts were strong enough to plane in. Cam going out early to test the conditions contributed to his win. Quite a busy bit of water to race on. 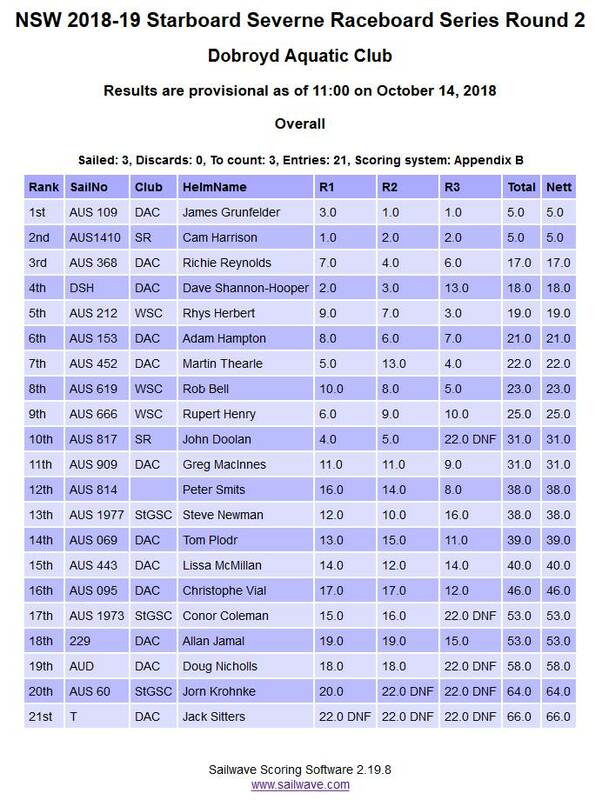 The progressive standings after 3 rounds... Fourth round this weekend - The State Championships at Marmong. Who will get the trophy this year? We are expecting some young blood in the competition this year so watch out for some new names on the results sheet and maybe the podium? For those of you still to register, information and the entry form are here www.ausraceboard.org/raceboard-windsurfing-events/ Even if you have paid for the series, you need an entry form and payment for the States, as it is a separate event. 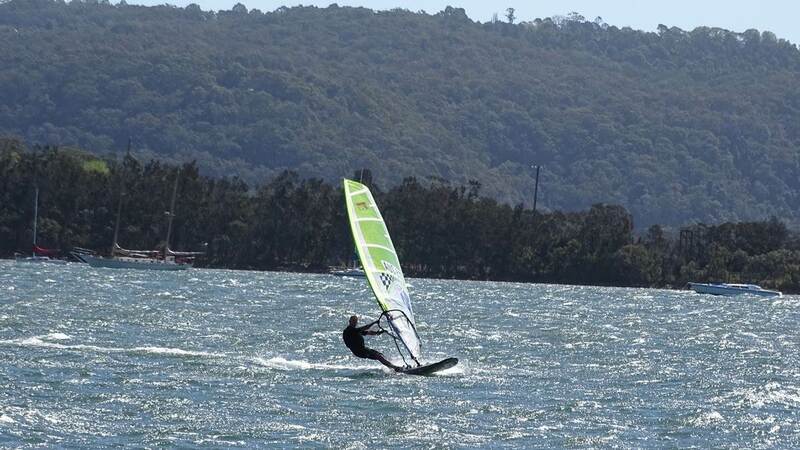 Raceboard State Titles at Marmong Point this weekend Saturday and Sunday! wally Racing all day Sunday! 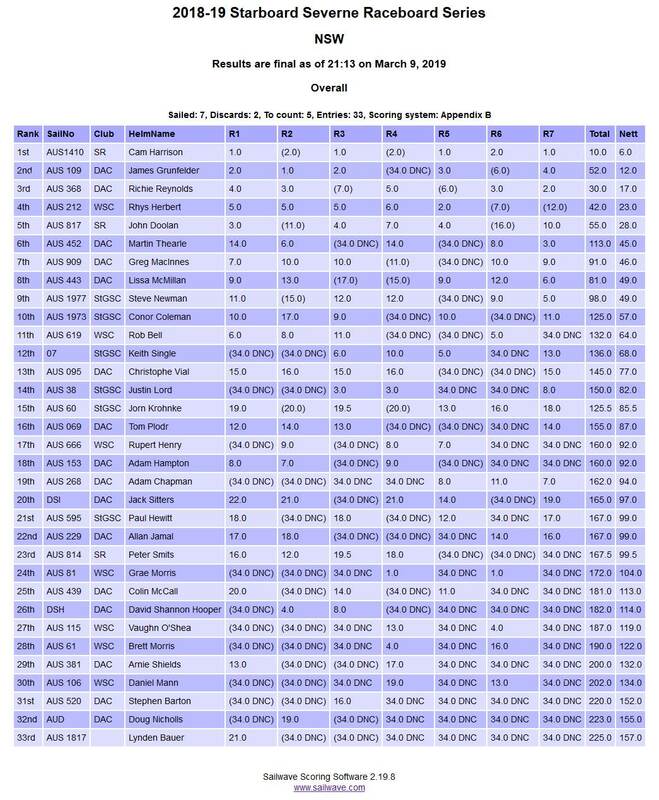 Provisional results for today's racing. May be a couple of boards got missed crossing the line in race 4 and 5 let me know what happened if it was you.. Always knew you better than your old man!?? The States are done and dusted! 10 races in some tricky conditions at Marmong Point. Thanks to the race team at Marmong Point Sailing Club for hosting us. It was great to have a youth division for the first time in many years. 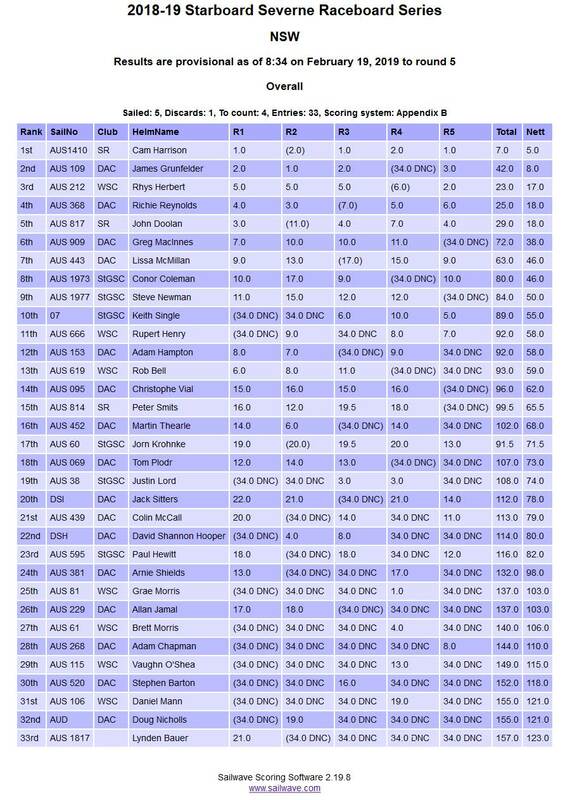 Grae Morris while a youth by age chose to race in the open fleet with a 9.5 m2 sail rather than the max allowed in the class for a youth of 8.5 m2. He sailed skillfully with it despite little practice with the equipment, and ended up winning the event! He was one point ahead of reigning National Champ Cam Harrison. 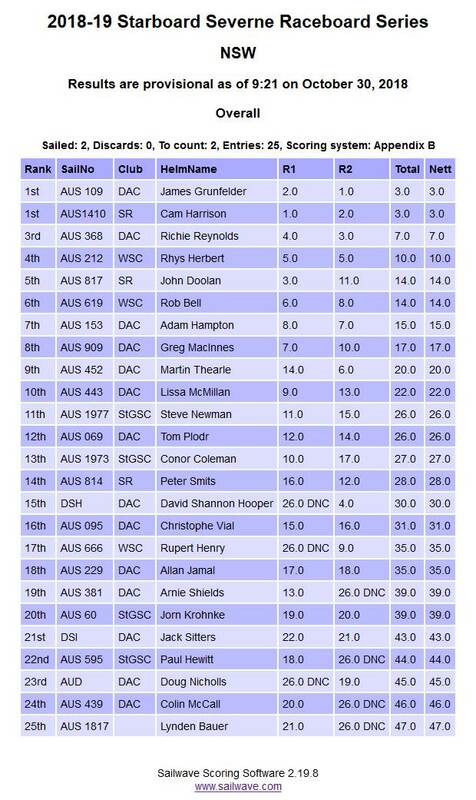 Justin Lord was third, and Grae's dad Brett was fourth, and probably won't lend Grae the good sail next time!. Vaughn O'Shea won the Youth with Daniel Mann 2nd. 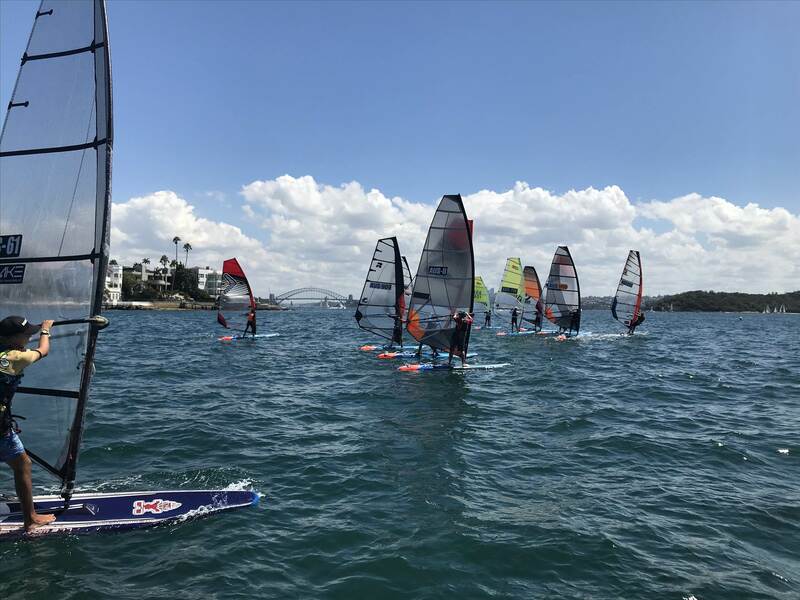 As well as the Youth, finalist for Australian Sailing Offshore Racer of the year 2018, Rupert Henry, joined us for his first championship on a Raceboard. 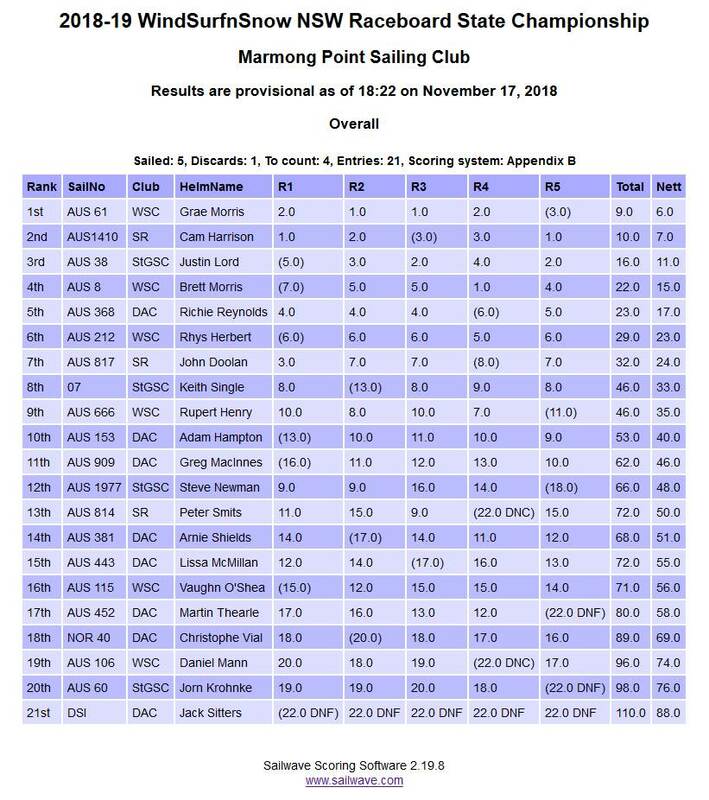 Sailing with Rupert in their record-breaking Melbourne-Osaka double-hander win was Vaughn's dad Greg, who was also out at Marmong on his new LT Wally. 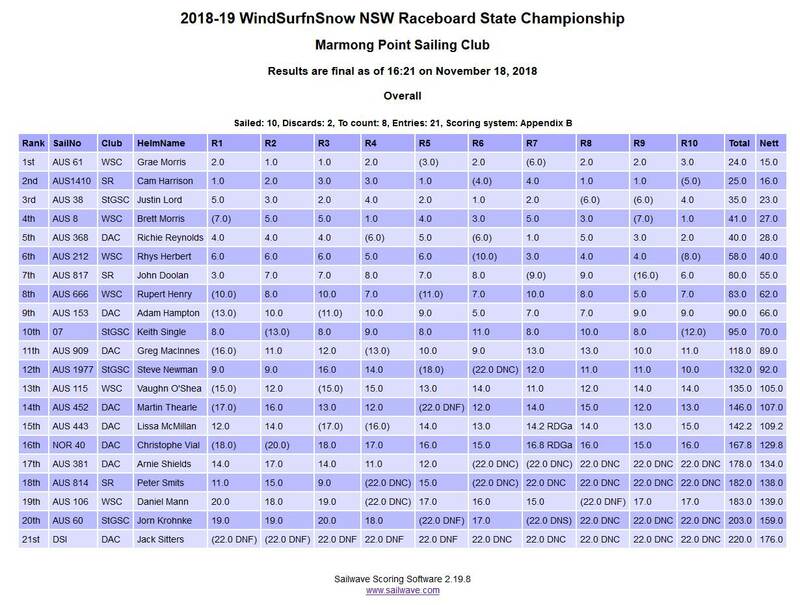 Winners in the WindsurfNSnow Raceboard State Championships at Marmong. 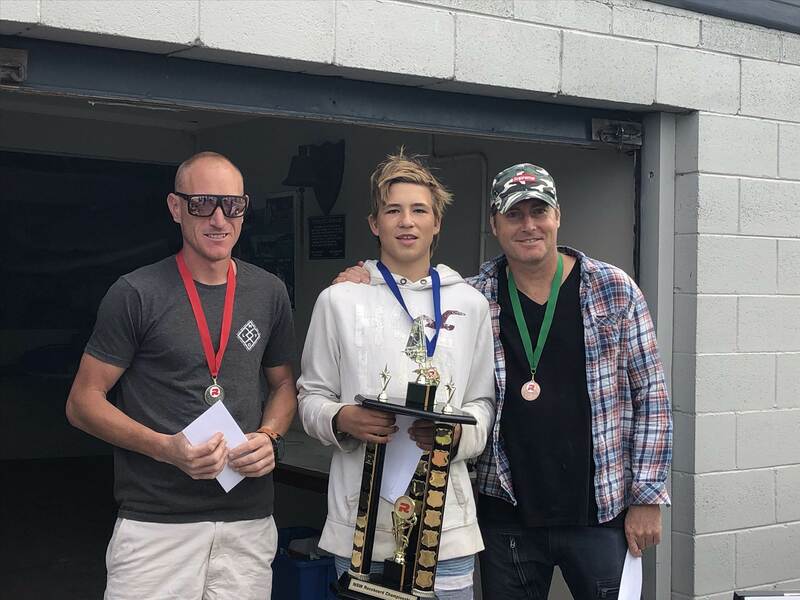 Grae Morris (1st), Cam Harrison (2nd) and Justin Lord (3rd) take home a trophy, medals and vouchers for WindsurfNSnow at Long Reef. 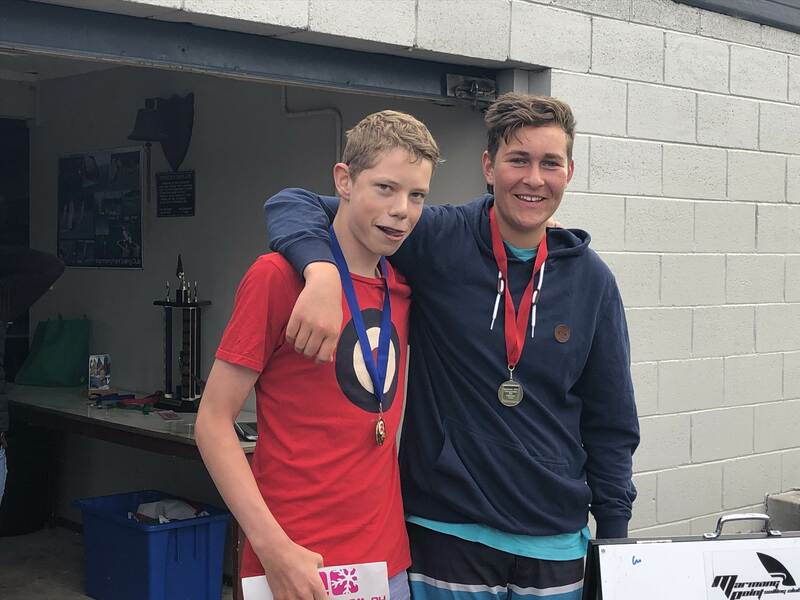 Youth Champ Vaughn O'Shea (left) won ION adjustable harness lines. Dan the Mann was 2nd in the Youth comp. Thanks to Sam and the crew at WindsurfNSnow for their continued support. 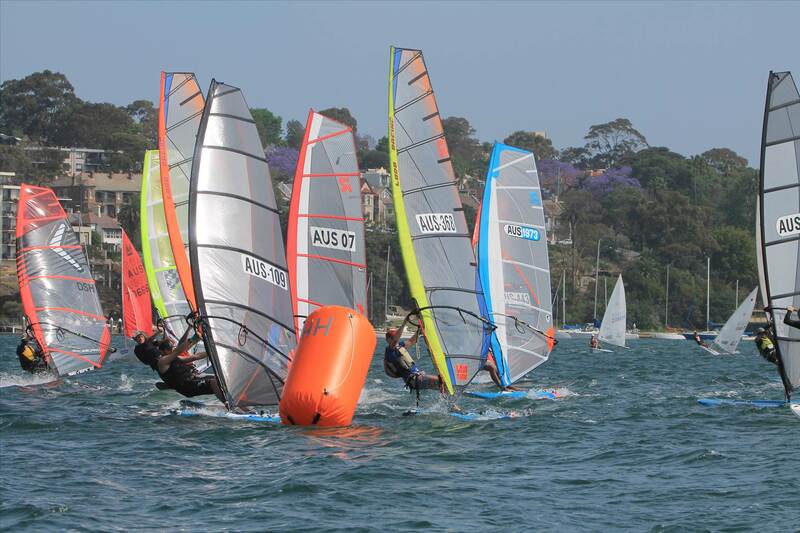 The next leg is this Sunday at Kurnell. 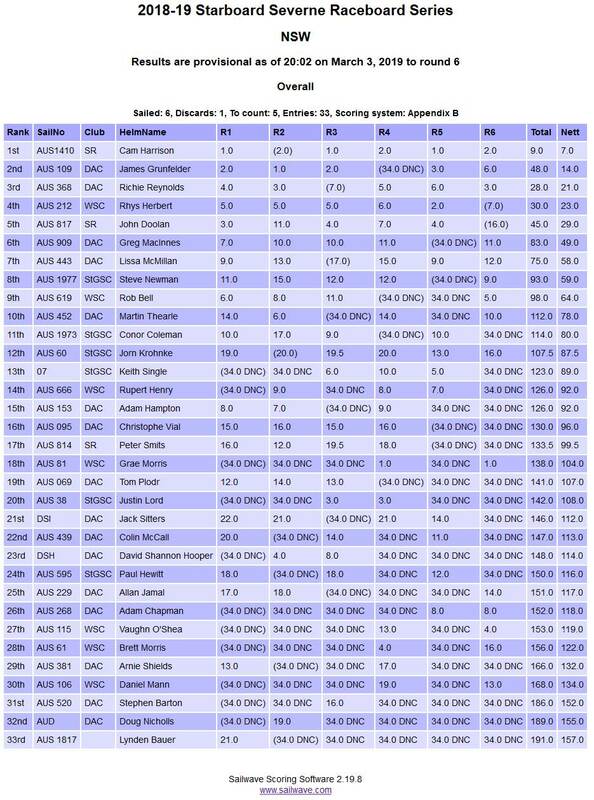 Here are the progressive standings following the states at Mamong in November. 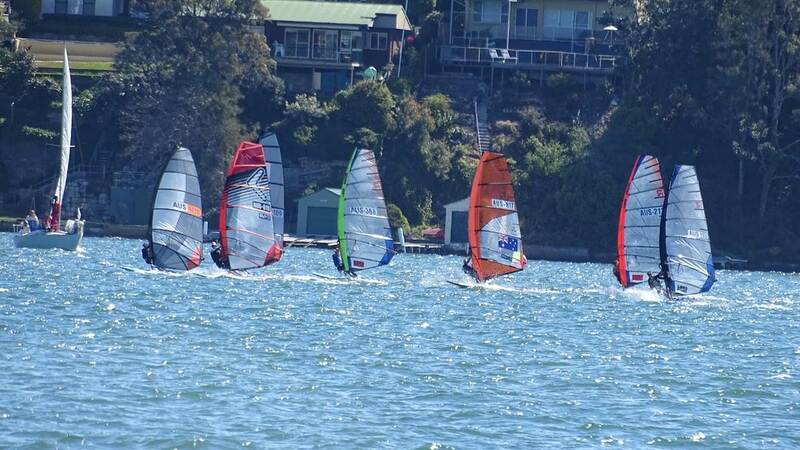 The next two heats are at Woollahra on March 3rd and St George on March 9th. 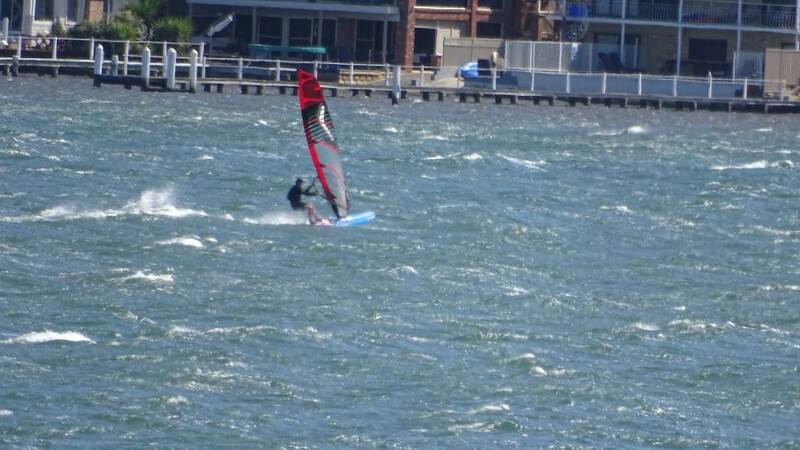 Round 5 at Kurnell saw sparkling summer conditions with a building Nor Easter. 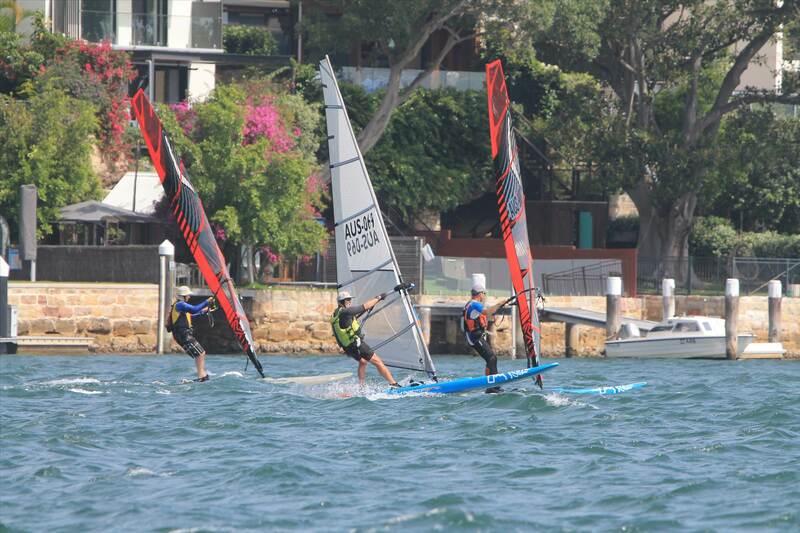 A lot of fun, lots of boards around with the Rippers, Techno, RSX, Forumla and Foiling boards also on the water with us. The results of the day and the Series so far. Still 2 rounds to go. Woollahra on March 3 is the next one. See you there. Could you please confirm the registration, briefing and 1st start times for Heat 6 at Woollahra on Sunday? 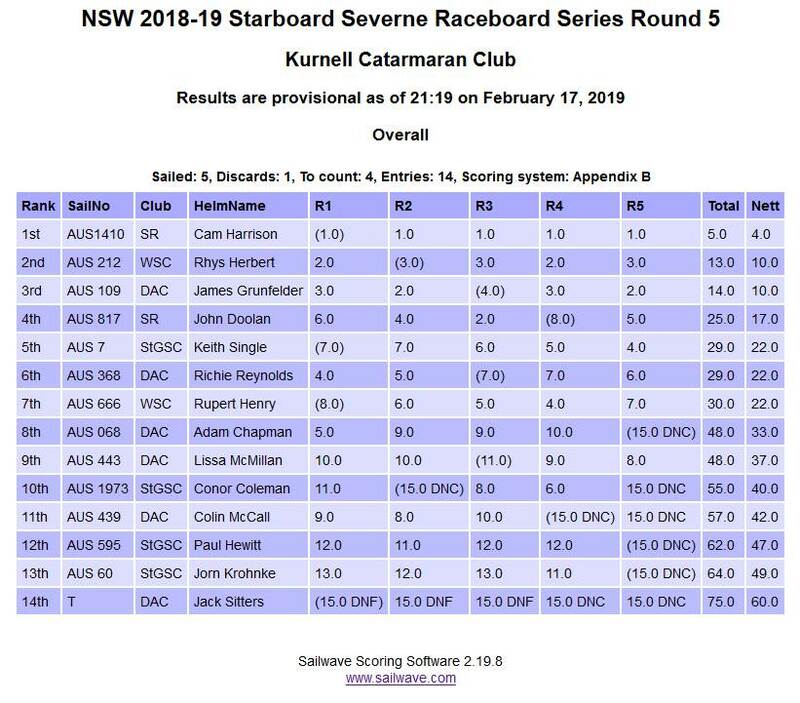 Heat 6 of the NSW Starboard-Severne Raceboard series is approaching, on Sunday 3rd March at Woollahra Sailing Club. The briefing will be at 11.30, with races starting from 1pm. Rego will be open from 11 for those who have not series-entered. 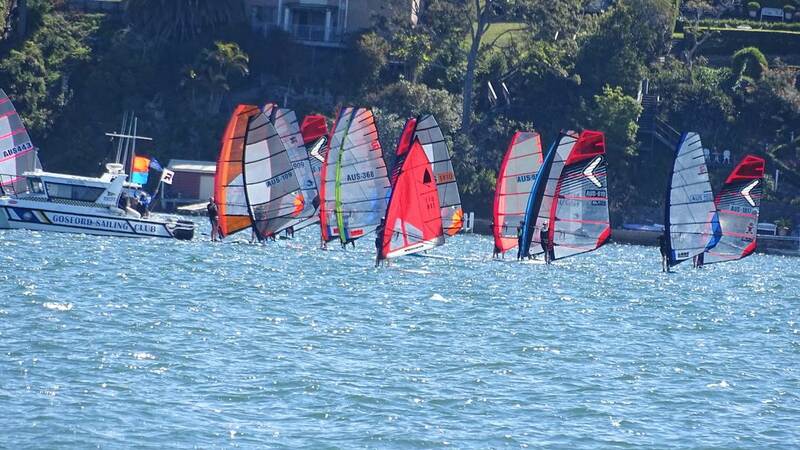 Round 6 at Woollahra Sailing Club, a sparkling day with a 8 to 12 knot NE. The start was in Rose Bay heading up around Steele Point, the wind coming over the headland made for some interesting mark roundings. For the last race the course was extended beyond Steele Point out into the harbour for a good look at the !8ft skiffs and the keel boat racing. See you at St George Sailing Club next Saturday for the final round. Briefing will be at 1.00pm on the deck on the western side of the. The first race will be at 2.15pm with a maximum of 3 races for the day. Hang around after for the presentation of prizes for the series, sponsored by Starboard and Severne. 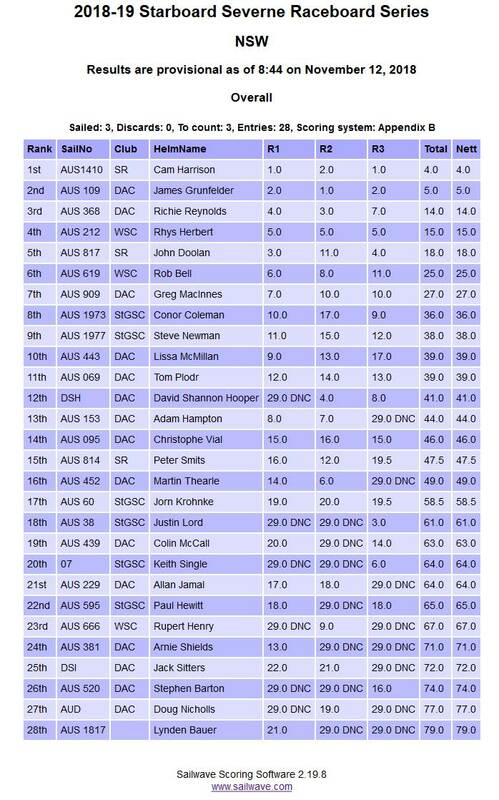 3 good races at St George today, A couple more wins for Cam taking out the series, with James in second and Richie third. 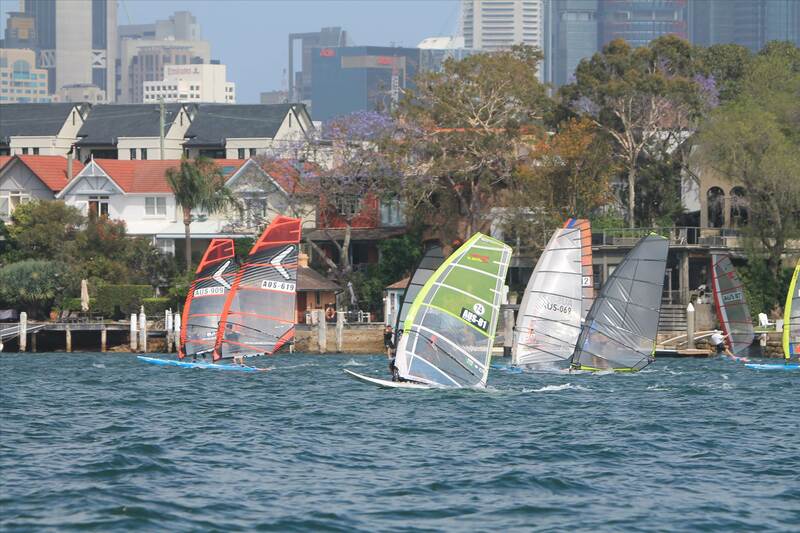 Many thanks to Starboard and Severne for their continued support of the NSW series. Looking forward to next season already.